← Sarawak Elections 2016: Today, 7 May, is Polling Day! It is believed that sharks don’t eat their own kind but someone forgot to tell this shark! SEOUL: Visitors to a giant aquarium in Seoul on Friday (Jan 29) were presented with the gory aftermath of a territorial dispute between two sharks, which left one dead inside the mouth and gullet of the other. 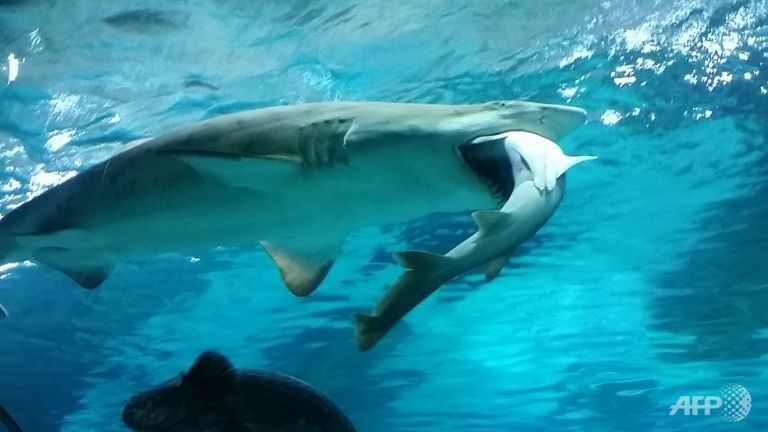 Staff at the COEX aquarium said the fight between a 2.2-metre-long sand tiger shark and a banded hound shark half its size broke out on Thursday evening. Size and power won the day, and by the time the aquarium opened on Friday, only the tail of the smaller shark was visible – poking from the jaws of its larger female tank mate. “The sand tiger shark’s instincts are to attack if its territory is threatened, especially during breeding periods,” a spokesman for the aquarium said. 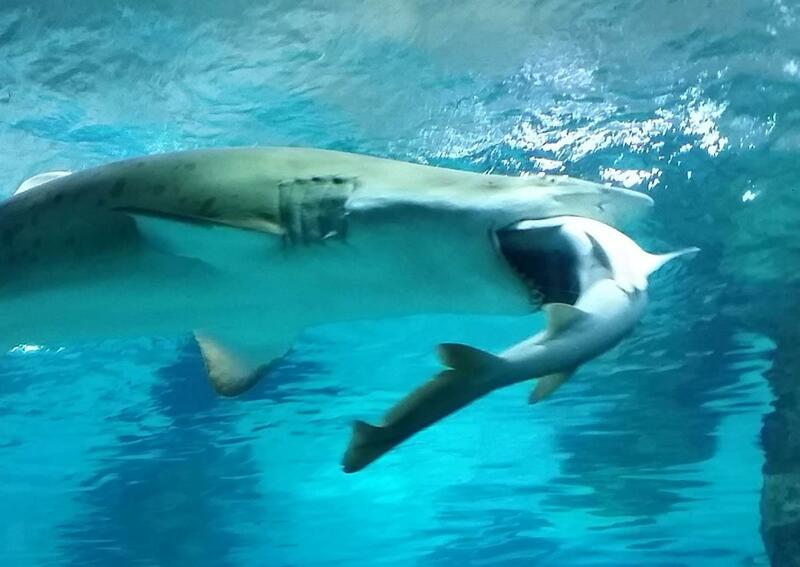 This entry was posted in Uncategorized and tagged shark eat shark seoul aquarium. Bookmark the permalink.